Two Dutch princesses have worn this beautiful laurel wreath tiara in the twentieth century: Princess Laurentien, wife of Prince Constantijn, and Princess Carolina of Bourbon-Parma. The tiara is one of the oldest heirlooms in the Dutch collection, and it's a good choice for a wedding tiara: the laurel wreath symbolizes victory or triumph, which seems like a good omen for any new marriage. Even now, mentions of royal weddings often conjure up images of a particular one: the British royal wedding of 1981. The tiara worn by Lady Diana Spencer as she wed the Prince of Wales was from her own family's collection, and it instantly became iconic. The hearts and flowers that appear in the tiara's design are suitably romantic, and it's no wonder that other Spencer family brides have donned the tiara, too. Two Spanish queens have chosen this glittering geometric tiara on their wedding days: Queen Sofia in 1962 and Queen Letizia in 2004. 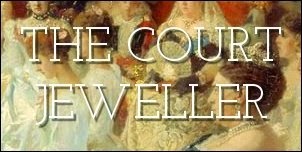 The tiara is a family heirloom that has passed through the hands of royal women for a century, traveling from Germany to Greece before finally ending up in Madrid. While two of her sisters selected the imposing family cameos for their bridal diadems, Princess Christina of Sweden made a sentimental choice in 1974 when she selected this tiara, which had been a great favorite of her late mother, Princess Sibylla. It's also a tiara that adds a lovely bit of symbolism to a bridal ensemble: the delicate tiara is composed of diamond forget-me-nots. One of the most beautiful tiaras in the vast Nassau jewel vaults is this 19th-century sparkler made of diamond leaves and berries. It was an especially appropriate choice for Princess Claire, who settled down with Prince Felix on a vineyard in France after their wedding in 2013. It was also used as a bridal diadem by all four of the daughters of Grand Duchess Charlotte. It may have snapped in two just before Queen Elizabeth II's wedding, but the diamond fringe tiara that had belonged to her grandmother, Queen Mary, made a lovely (if hastily repaired) bridal tiara for a queen-to-be in 1947. The diamond rays of light made a second bridal appearance at Westminster Abbey in 1973, when Princess Anne married Mark Phillips. What better than delicate nineteenth-century cameos depicting the love of Cupid and Psyche to adorn the head of a bride? This tiara, which probably once belonged to Empress Josephine of France, has been worn by two generations of Swedish brides, including two of the king's sisters, Queen Silvia, and Crown Princess Victoria. The tiara may be French in origin (just like the Bernadottes), but its height also helps it resemble the traditional bridal crowns of Sweden. Only one Belgian royal bride, Queen Fabiola, has worn the tiara reserved for the nation's queens at her wedding -- but that's because she was the only bride to wed a reigning king since the tiara's 1920s creation. The sparkler was formidable and gorgeous against Fabiola's voluminous veil; its presence at the wedding also added a reminder of the piece's original owner, Queen Astrid, the late mother of the groom. The bridal tiara to end all bridal tiaras, if you ask me, has to be the Cartier-made tiara given by the Khedive of Egypt to Crown Princess Margareta of Sweden. The piece has been worn as a bridal diadem by every female descendant of Margareta's daughter, Queen Ingrid, a group that now includes women from the royal and noble families of Denmark, Greece, and Sayn-Wittgenstein-Berleburg. It's also wonderful that a tiara with such a rich history happens to be beautiful -- its scrolling design of diamonds has been flattering on every bride who has donned it so far.